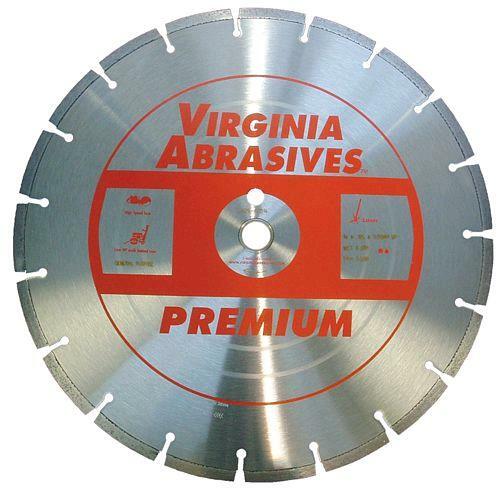 Diamond saw blades generally cut quicker than other abrasive blades. Time is also saved because the blade does not need to be changed as often as a disposable abrasive blade. Diamond is measured before and after the rental to determine diamond usage. Rental rate is the based upon time out and amount of diamond used. The rate of diamond usage is lessened when wet cutting is used versus dry cutting. Wet cutting is always recommended because it also keeps the dust created from cutting coarse material to a minimum. * Please call us with any questions you may have about our diamond saw blades rentals in Petoskey, Northern Michigan & The Upper Peninsula.